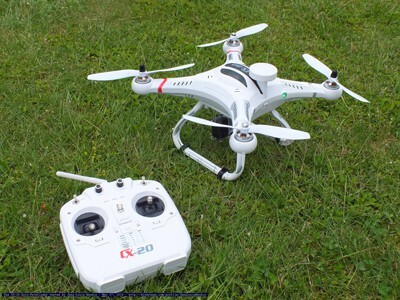 Cheerson CX 23 Review - What can this small GPS drone offer ? Luckily, well-known brand such as Cheerson are leading the charge with excellent brushless quadcopters that often pose as threats even to certain mid-tier drones. With a stellar display of features, seamless controlling schematics and even a decent camera for DVR – under $300 price range is becoming even more interesting! That’s why today we’re here with a brand new Cheerson CX 23 review ! For those of you who already know about Cheerson, your partial source of information must origin from their massively successful CX 20 model. 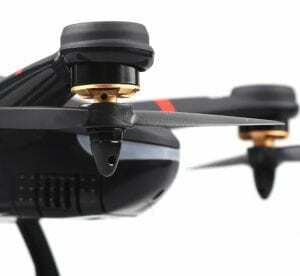 It is an aggressively priced brushless quadcopter with highly intuitive controls and a set of stellar features. Needless to say, it offers great value for money and provides excellent support for beginners and more experienced players alike. It really put Cheerson in a great position on the market… but that’s when heavy competition arrived to the scene. Therefore, they pivoted to making smaller, brushed quads in a much more relaxed entry-level market. But now, with CX 23 being released, it seems as though they’re setting the bars pretty high for their old competitors. Is that really the case? Well, that’s exactly what you will be able to find out by reading this review! Starting off with the basics, first I will tell you more about the differences between Cheerson CX 20, Cheerson’s most popular model, and CX 23 – a potential replacement hiding a few aces up its sleeves. For starters, it’s important to state that these 2 drones don’t even look close to one another. CX 20 is a bulky model, primarily meant for people who want to learn aerial photography while CX 23 is a much smaller quad meant more for fast-paced action. Feature-wise though – they’re pretty similar. But, CX 23 takes off with the addition of camera while CX 20 does not incorporate that novelty. Furthermore, it also comes with 5.8G FPV support that carries a dedicated display with plenty of useful in-flight information (more on that later on). Moving forward, even though CX 20 has a more powerful camera (3S with double mAh in comparison to a 2S LiPo), they both fly roughly the same amount of time. CX 20 does have a bit more raw-power in terms of uplifting and explosive throttle, but its potential successor does not skid too far off either. With all that in mind, I presume some of you already agree that there’s no point in comparing these 2 drones any further from their size and specs since they’re obviously meant different types of flyers. 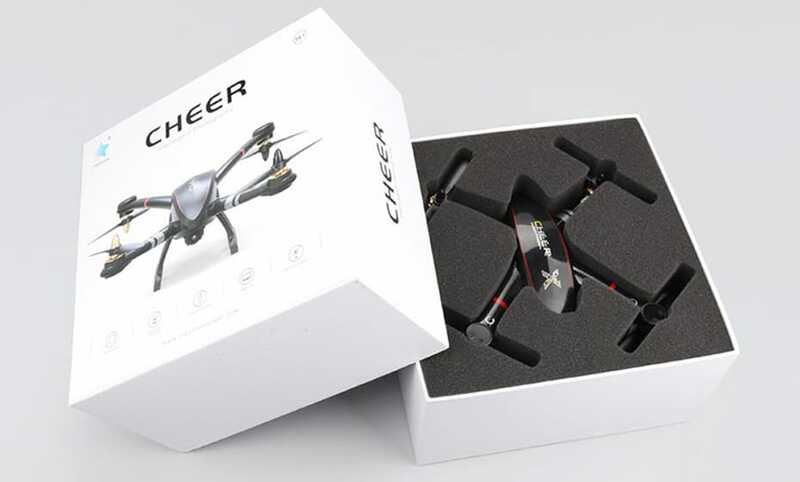 So, without much further adue, I would like to take you to the actual review of this awesome new addition to Cheerson’s lineup of drones! When it comes to the design, the first thing you will notice are CX 23’s upside-down back propellers which is something we rarely see. I honestly don’t know why they opted for that, but nevertheless – it looks sleek if you ask me. Size-wise, CX 23 is as big as DJI Spark (when unfolded, obviously) which is definitely setting the tone for the rest of this review. Why? Well, because such a small and aggressively priced drone could actually create its own subsection somewhere between foldable drones and selfie models. Will that really happen? Well, we will have the chance to see by the end of this year when a few more drone manufacturers have scheduled unveilings of brand new models. Cheerson CX 23 actually sports a decently powerful 2S LiPo battery with 20C rating and 1200mAh. Even though at first sight these specs might seem low to you, you have to take into consideration the fact that Cheerson CX 23 only weighs around 220 grams. This essentially means its battery is able to provide quite the punch for such a lightweight model… and give it juice for roughly 14 minutes. That time will, of course, be slightly lowered if you intend on using DVR function of the built-in camera. When it comes to operating range, Cheerson CX 23 really reflects quality. With its predecessor CX 20 having roughly 200-300m of operating range, there is no surprise that this birdie takes things one step further. To be more precise, I’m talking about roughly 500 meters of operating range. As I already mentioned, Cheerson CX 23 sports a miniature built-in camera which can be tilted up or down. Keep in mind though – you will have to adjust your angle before flight as there are no controls for that action while your drone is in the air. Furthermore, we are talking about a mere 2MPX sensor here which captures images in 1920×1080 and videos in 1280×720 resolution. For FPV purposes, the quality is decent… but you might want to make an upgrade if you want something more worthy of amateur aerial photography. Cheerson CX 23 is a drone meant for high speed racing action, so it is only logical to examine its top speed and everything revolving around it. Don’t worry though – this birdie is an absolute beast thanks to its mighty D1306 3300KV motors. These bad boys are brushless as well, meaning they won’t burnt out as easily as brushed ones. With all that in mind, it is not surprising to see Cheerson CX 23 reaching 15m/s speeds while in normal mode. In GPS mode, however, you’re looking at two thirds of that; more precisely 10m/s. Either way, Cheerson CX 23 is lightning fast which is just another reason why you should consider going for it! First of all, it’s important to state that Cheerson CX 23 has a GPS module which allows it a fine array of advanced features that we all love so much. So, with that said, let’s take a closer look at them and see what they’re all about! This feature allows you to get your drone back to its original takeoff location with a single push of a button. Similar to OKR, Automatic Return does the same thing but without you even having to press a button. AR takes the wheel once your battery is low on voltage or you’re approaching the max range. Altitude Hold feature enables your drone to hover steadily in a location without you having to mess around with the throttle. Simply point your Cheerson CX 23 to a certain object and it will fly towards it and start orbiting around it, taking awesome aerial shots or videos. In the following section, we will see how does Cheerson CX 23 compares to two of it’s close competitors : Hubsan H501S and Parrot Bebop. Hubsan H501S is a serious contender for the best drone under $300 for quite some time now. But, with the introduction of CX 23, things could go a different way. Even though H501S provides with a much longer airtime (20 minutes in comparison to 14), CX 23 beats it with both operating and FPV range (500m vs 300m). Moving forward, H501S does have a slightly better camera, but it’s fixed at a certain angle which might pose a problem to some. On the other hand, CX 23’s camera can be adjusted manually, making it a big plus for Cheerson. In terms of features, both are very similar. 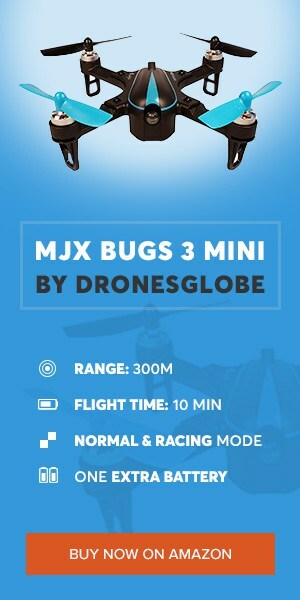 They both incorporate GPs and a handful of supporting feature which greatly improve users’ flying experience. All things considered, I’d say both these quads are relatively similar to one another. While Hubsan H501S is perhaps a bit better for amateur aerial photography due to a superior camera, Cheerson CX 23 is better in terms of FPV and will definitely rank better with drone racing enthusiasts. In terms of range, Parrot Bebop falls short of Cheerson CX 23. That’s because we are only looking at the barebone quad without the dedicated Sky Controller. Why? 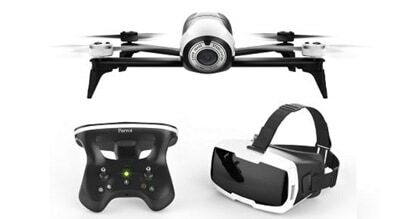 Well, because it would not be a fair fight between these 2 since the cost of Parrot Bebop together with the controller greatly exceeds that of Cheerson CX 23. Flying time, on the other hand, is a much narrower fight with just 3 minutes separating these 2 (14min vs 11min), and Cheerson CX 23 takes the throne in this department. Also, 5.8G FPV of CX 23 is superior in both range and responsiveness which is just another point for Cheerson. Furthermore, Parrot Bebop isn’t exactly the most agile drone when controlled with the FreeFlight App. The controls are mediocre at best, if we are to be completely honest. On the other hand, Cheerson CX 23 sports a great hobby-grade controller with lots of telemetry information as well as support for advanced, GPS-powered features which Parrot Bebop cannot battle against. In the end, I believe Cheerson CX 23 is a clear winner in this comparison. With more features, better specifications and superior FPV system, there is no doubt in its victory ! With everything that’s been said above taken into consideration, there really isn’t anything bad about this drone. You have to give Cheerson credit for making this! It’s an incredibly portable (and affordable) brushless quad that can serve as a great learning platform for beginners. It’s fast, accurate, agile and… best of all – it offers the best value for money in its price range. So, if you’re looking for a drone that’s suitable for beginners, look no further since Cheerson CX 23 is the right one for you! Great review!! I don't believe that it will return home with a low battery or near its range limit!